This novel was positively adorable. 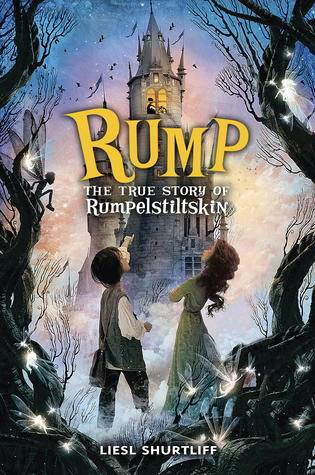 You may think you know the story of Rumpelstiltskin, but what of the child who became the man? As in the original tale, names hold power in this debut middle grade novel, a name is someone’s destiny, but who controls it? This novel is run by its characters, and it’s a good thing too because they were all vibrant and interesting, and altogether enjoyable. Rump was a steller character, it was so easy to root for him throughout the novel and I personally wanted to just pluck him out of the novel, fatten him up, and keep him in my pocket, safe from harm. I have to say that as a reader, I was expecting Rump to turn into the villain that most of us know from childhood tales, as this novel is telling the story of how he became who he is. Instead, Rump is a character I completely sympathized with and it was really refreshing to see him as a sweet and innocent child. His best friend Red was feisty and I sincerely hope that the author has some plans to tell us her story because that is surely something that I would love to read. The other secondary characters were just as entertaining, though the trolls were by far my favorite. The villains were villainous but not overly so, just enough to make you grind your teeth in frustration and wish you could poke them directly in the eye or something equally appalling. I just feel as if I need to get this out of the way, what is up with these middle grade novels being so incredibly long?! That isn’t particularly a complaint because I adore them and there is of course no “right” way to write a novel but I can’t tell you how many times I was secretly wishing that the fabulous 400+ page MG I was reading was really only 300 or less. The point of this mini rant is that Rump was not one of those overly long novels that make you wonder why so many ineffectual details have been included in an already fabulous tale. There are so many middle grade novels out there that feel too long, or on the other end, too juvenile, to entertain an array of readers. Thankfully this is not the case for Rump. Instead, readers are transformed to an entertaining, yet simple setting to watch a detailed yet straightforward plot unfold. This is not a novel that contains twists and turns, but there are enough obstacles that you will find yourself holding out hope that Rump is able to write his own destiny and escape the magic that holds him hostage. Rump felt just right in the manner that it wasn’t lacking detail or plot in any way, yet it was also enough to undeniably entertain a reader of all ages. Fans of Christopher Healy and Adam Gidwitz will absolutely adore this book. If you are looking for a fun and lighthearted read, pick this one up immediately. 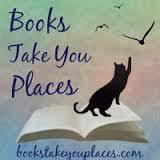 A condensed version of this review can be found at bookalicious. This entry was posted in Middle-Grade, Reviews and tagged fairy tales, humor, magic, middle grade, retellings. Bookmark the permalink. I really wanted to try this one but time got away from me and as yet, I have not picked it up. Thanks for the reminder that I should especially because I love twisted takes on familiar fairy tales! I just finished reading Rump. What an amazing book and debut especially. I loved your review. I almost wish the novel would have been longer, but I think it came to an end at the right time. Ooooh, I’ve been wanting this one, but this is the first review I’ve actually seen for it, and now I want it SO HARD. I love the sound of Red. Also, I’m glad that it didn’t feel long even if it was. It’s the worst when a book could have been amazing if the author hadn’t felt the need to ramble on for an extra hundred or more pages. This one sounds right up my alley! A middle-grade fairytale retelling about Rumpelstiltskin? I need to add this to my TBR list! It was ADORABLE. I loved it.